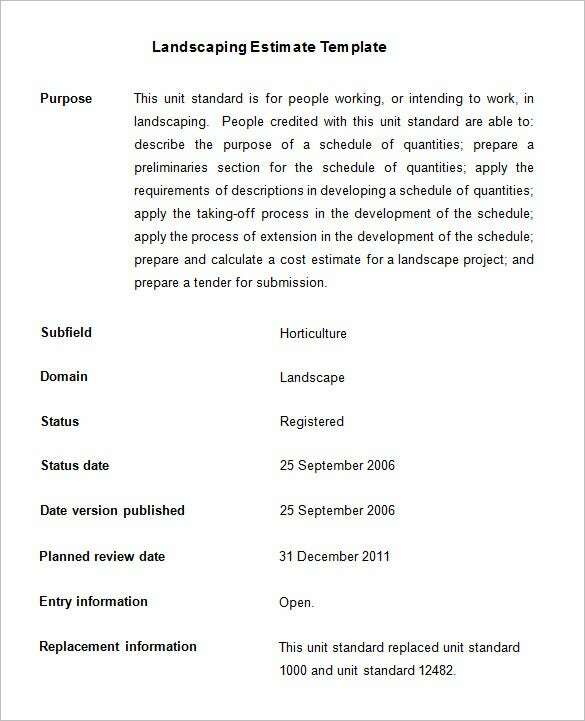 Landscaping is a task that includes a good amount of planning and estimating. Landscapes can be of different types. Their maintenance and care can take different types of work and planning. It may also point out different types of cost estimates. 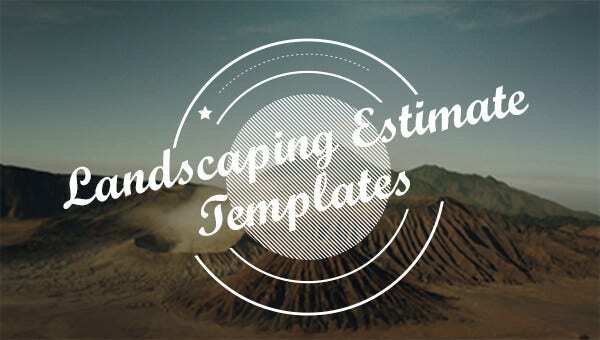 The landscaping estimate templates can be of much help for a user who is trying to create an estimate for the related work. 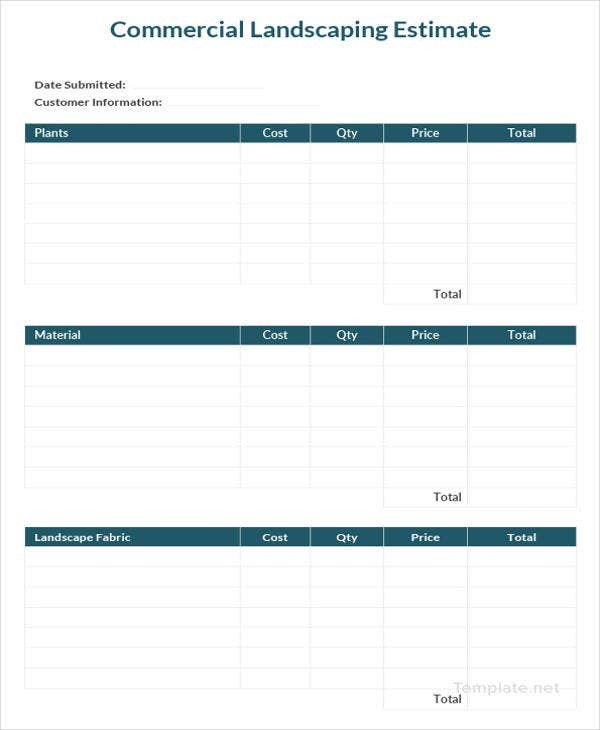 You can make a worksheet and add Free Invoice Templates as well. 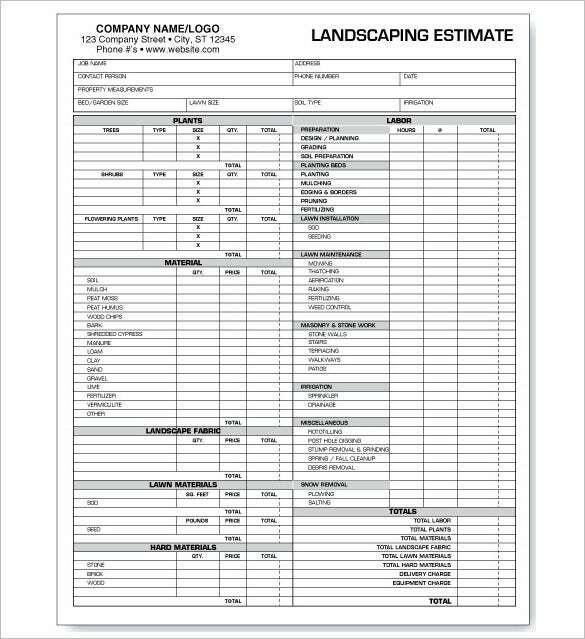 What are Landscaping Estimate Templates? 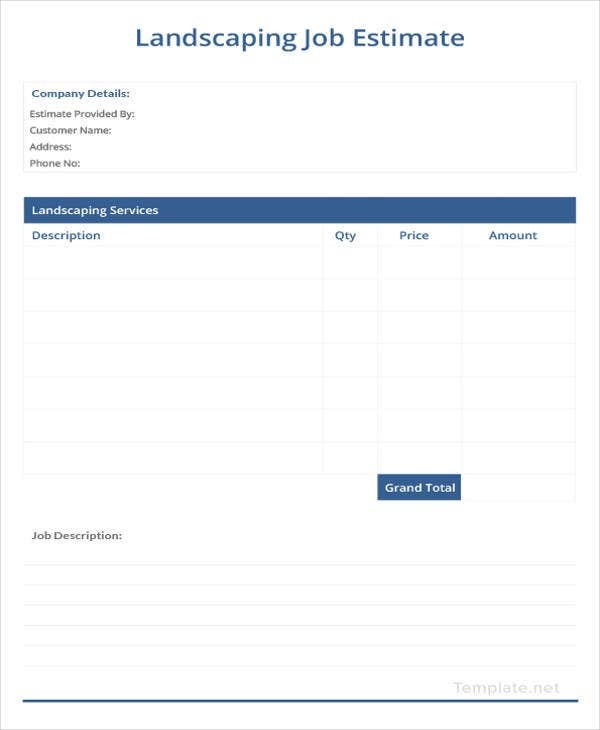 These are documents that shall help a user to create a format that can be used in the process of making an estimate of a landscape. These designs help companies who are providing services into guarding and facility management. 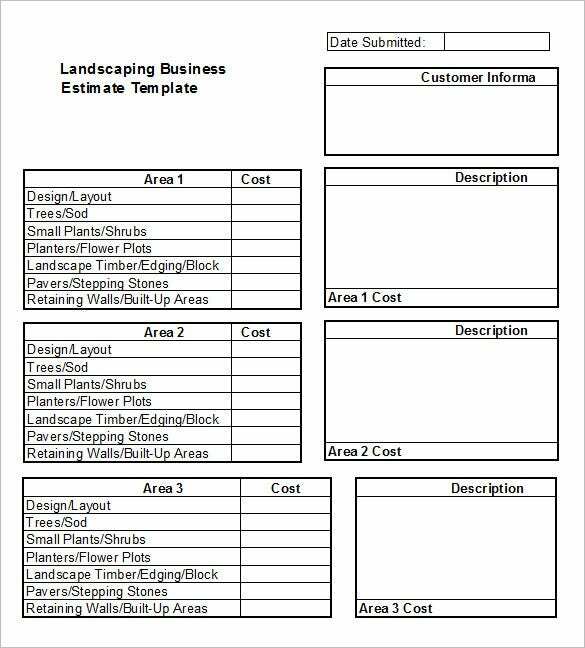 How to Create Landscaping Estimate Templates? 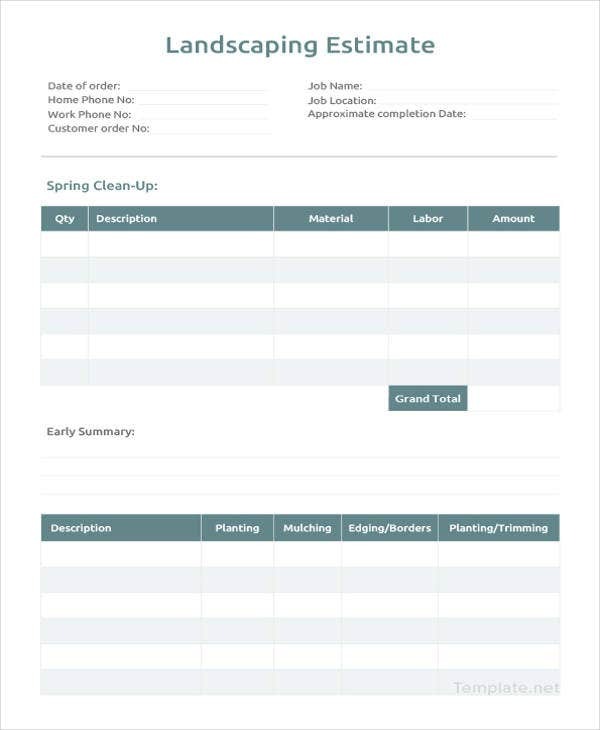 First make sure whether it is going to be in a table format or shall it support a paragraph style of writing. Include only relevant heads. Too many heads which are not required as it might spoil the whole simplicity which is very much needed. There has to be uniformity in the layout. 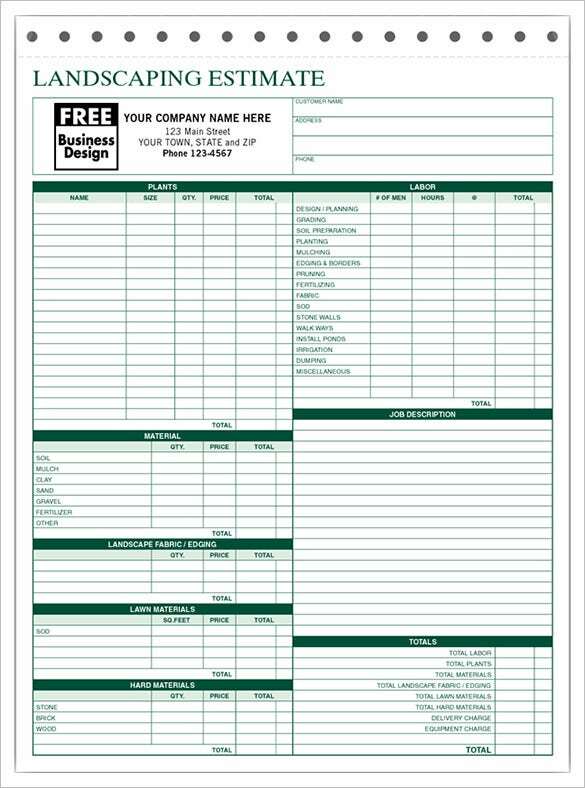 The benefits of these templates lie in the fact that they really help you have a fine idea of the area of your work. You get a proper estimate of the square feel area or the carpet area and also the other materials and labor required. 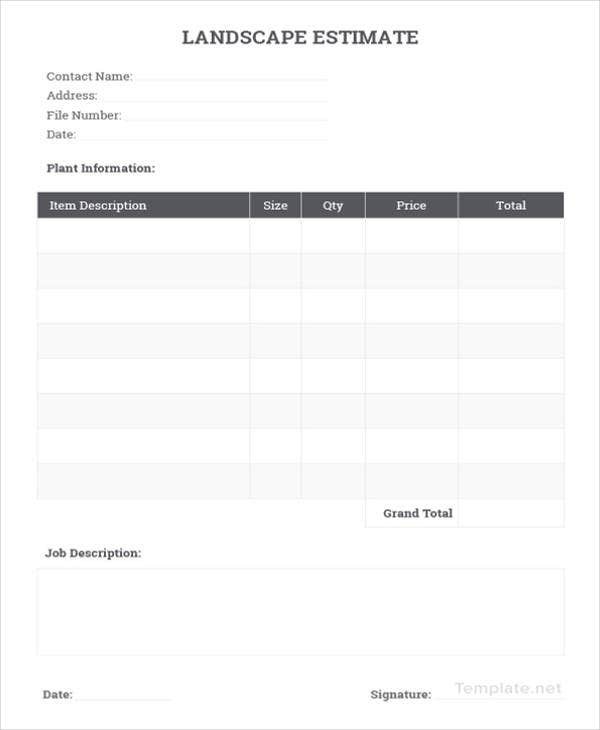 These templates also provide a kind of organized feel to the entire work. 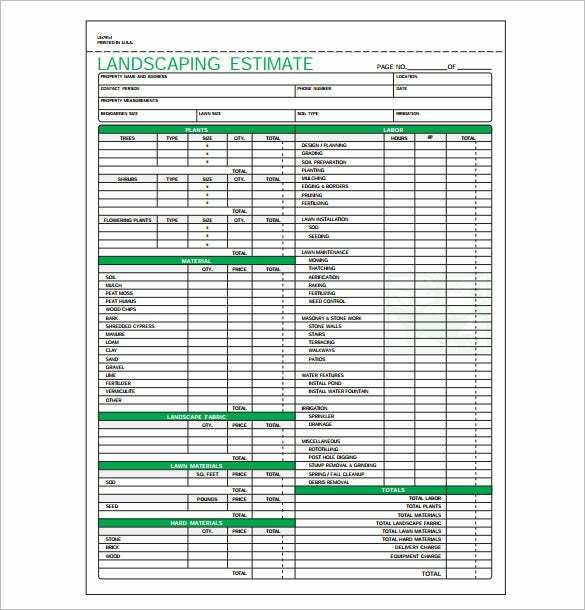 These templates can be of use for any type of landscaping that can be related to gardening, estimated for security services or even facility management. They have a professional touch to them.